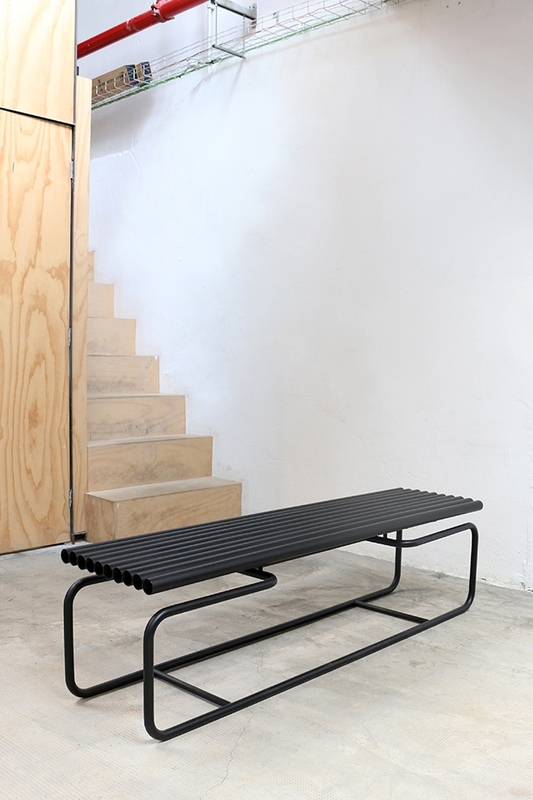 Since modernism, tube bending remains one of the most direct method for shaping furniture out of raw material. The first one allowing the construction of metallic structure without welded joints. 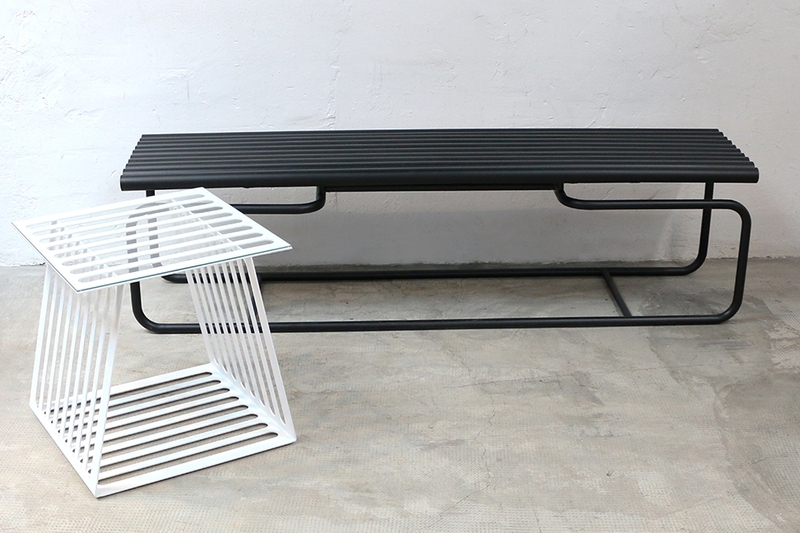 Bended, welded or simply in its raw form, this bench is inspired by this material, its manipulability and its technicality.